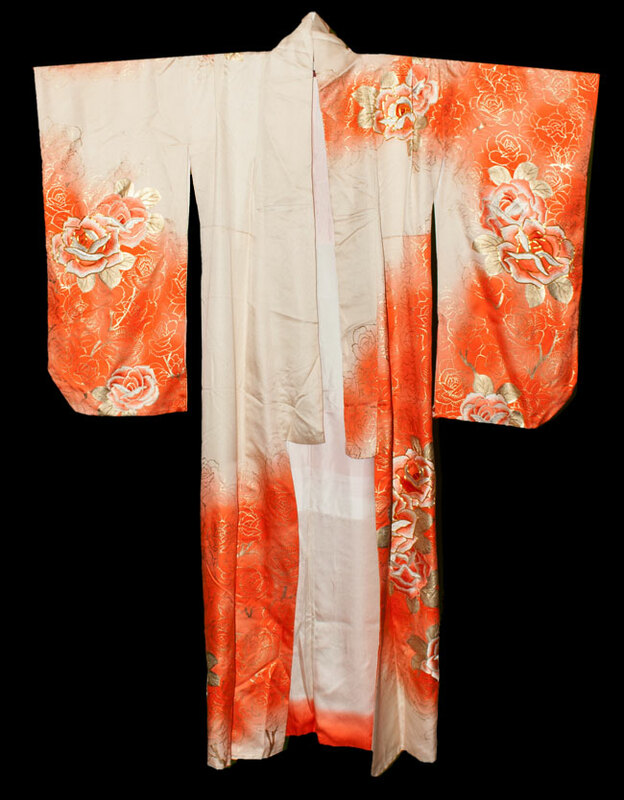 Kimoyes item: 21034 - This gorgeous kimono is quite luxurious and soft to the touch. This gorgeous kimono is quite luxurious and soft to the touch. Some of the roses has embroidery or gold couching and there are many other metallic gold highlights. It would be great to wear or display. 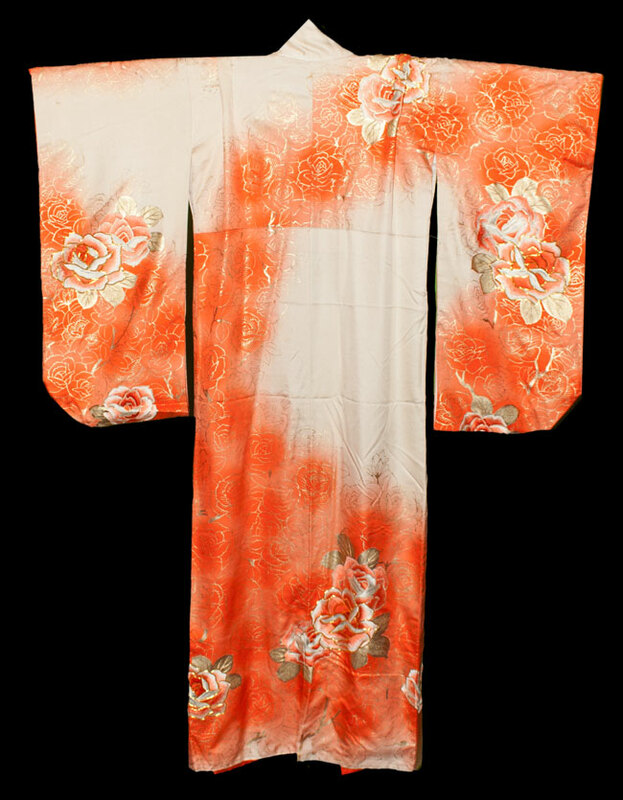 This kimono is 64 inches in length and 50 inches from cuff to cuff.